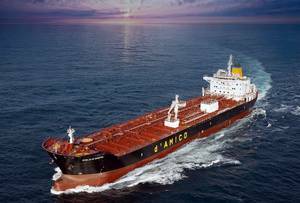 The outlook on the product tanker market is very positive, said Paolo d'Amico, Chairman and Chief Executive Officer of d'Amico International Shipping . On the demand side, the world product seaborne trade is expected to grow by 3% already in 2019 supported by an expected strong underlying oil consumption growth and by forecasted global refinery capacity additions of 4.9 million barrels a day between 2019 and 2021, he pointed out. In particular, 2019 is expected to be characterized by one of the largest annual increases in refinery capacity in years, with an estimated additional 3.1 million barrels a day (according to Clarksons). At the same time, the net fleet growth of the segments we operate in (MRs and LR1s) is expected to be limited and below 2.0% over the next two years. In addition, the major regulatory change that will come into force in January 2020, limiting the sulphur content in bunker fuels, is widely expected to generate incremental demand for our vessels already from mid-2019. However, Paolo d'Amico said that 2018 was unfortunately one of the worst years for product tankers in the last decade. The market was relatively weak throughout the first nine months of 2018 and hit historically low rates in the third quarter and the first month of the fourth quarter.